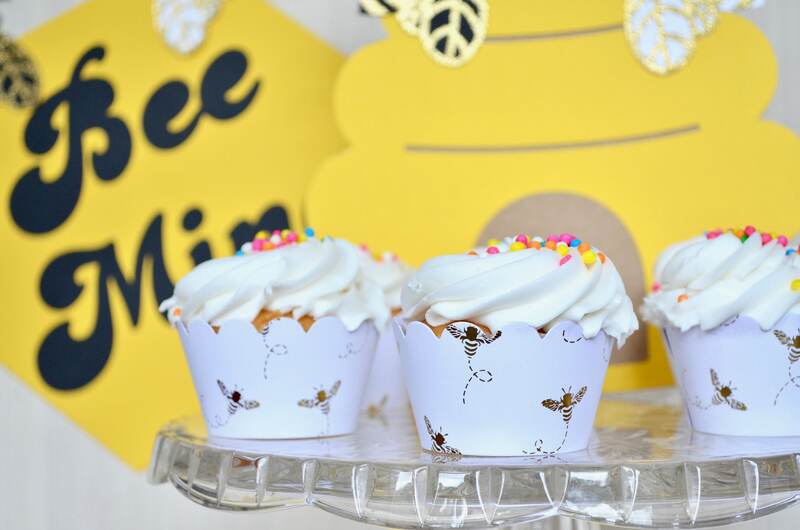 Gold Honey Bee Cupcake Wrappers and Honey Comb Shaped Toppers - Gold foil bees on white card stock. 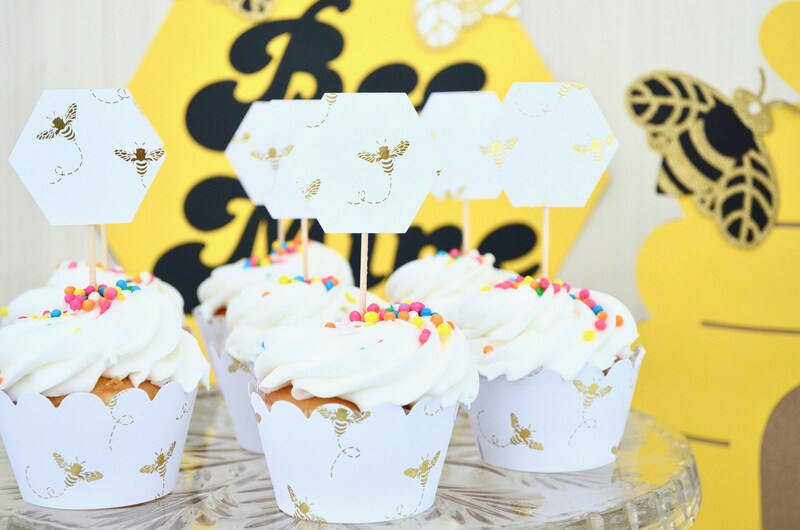 Perfect for Bee-thdays, weddings & more! 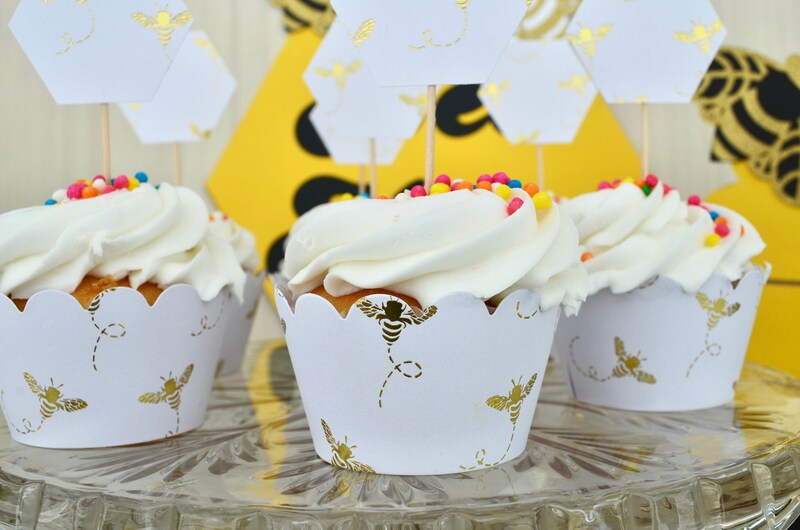 These Gold Honey Bee Cupcake Wrappers and Honey Comb Shaped Toppers will have your guests buzzing! 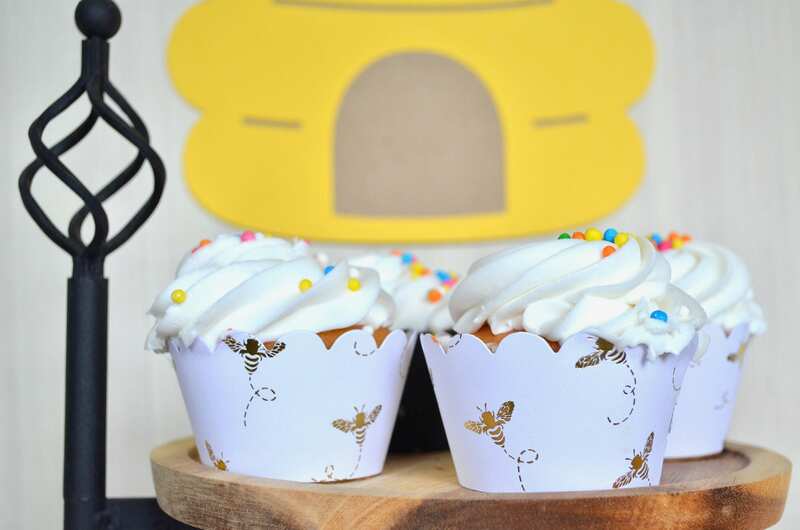 Each wrapper and topper features a beautiful gold foil bee pattern on a heavy white card stock paper. 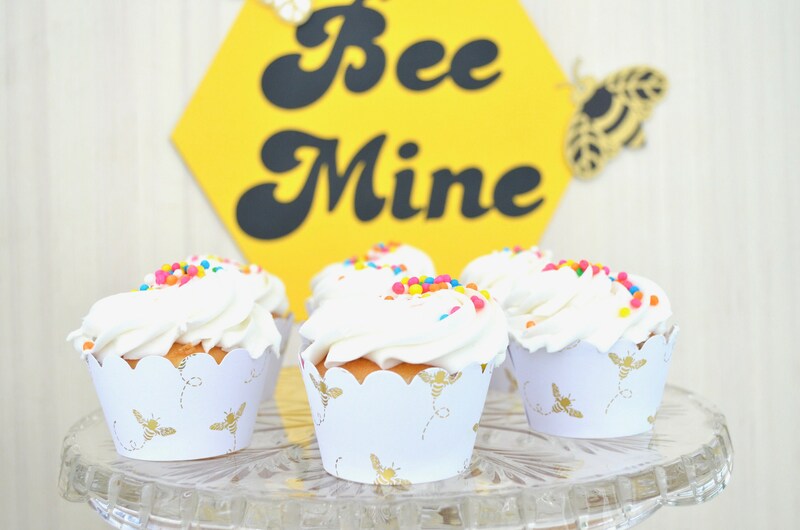 Use the drop down menu to easily select from cupcake wrappers, cupcake toppers, or a combo set (matching wrappers and toppers)! Each cupcake wrapper fits a standard sized cupcake. The kind you would find at a Sam's Club, Costco, or local bakery. They measure 1.5" (4 cm) tall, 2.75" (7 cm) across at the top and 2" (5 cm) across on the base. To keep shipping costs as reasonable as possible for our customers, we ship these flat (unassembled). Each one will take 5 seconds or less to assemble and we include how-to instructions in each package. 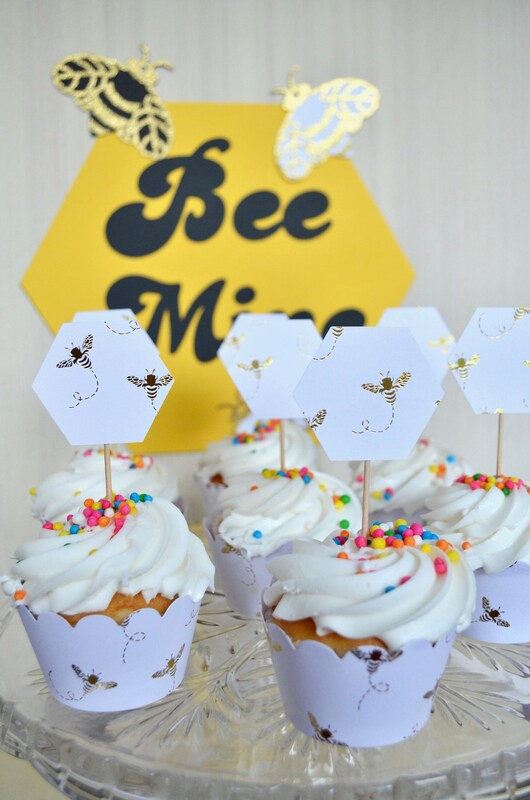 Each topper features a honey comb shape that is 1.75". With the toothpick attached, they stand 3.75" tip-to-top. 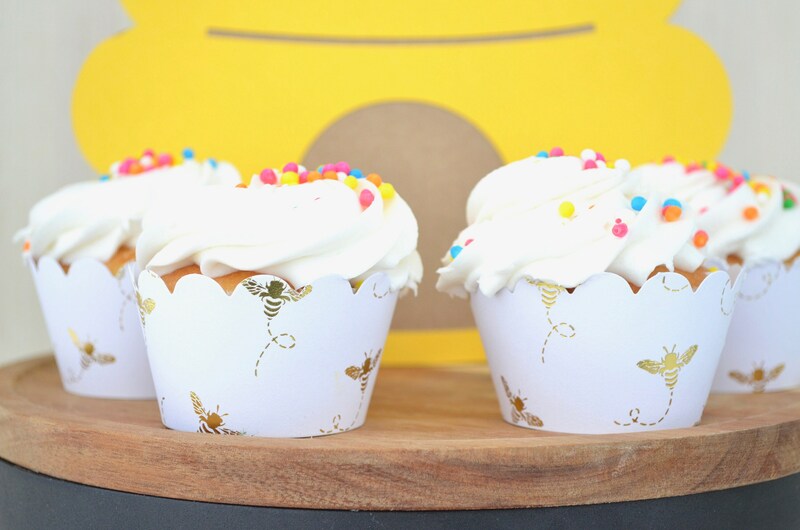 We double side all of our cupcake toppers so they look great from both sides! All of our products are hand crafted in our pet free, smoke free, peanut free studio.